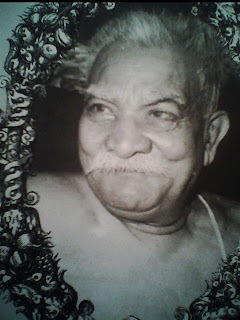 Gidugu venkata Sitapathi was born january 28, 1885, in Bhimunipatnam, in Visakapatnam district. He was completed his B.A. degree from Madras Christian College. Sri vedam Venkataraya sasthri was his guide. He was worked as a teacher some years in Parlakimidi high school. He was participated in Andhra Udyamam. In 1936 he entered to Telugu cine Industry through Gudavalli Ramabrahmam. He worked very short period in Telugu Industry. He wrote so many essayes and novels. In 1948 The Telugu Basha Samithi was started through this VignanaSarvaswam Telugu journal. Gidugu was founder and editor for this. He served nearly 50 years to Telugu literature development. Disclaimer: Dear users, Internet is a place where the information gets transformed and communicated in so many ways. So many have complained so much of content here but not everything is a replica of the information available on the internet. It has been done to spread the information to more number of people. This has been done to help the people only but not on any purpose. And also we acknowledge the original content owner by giving link to their website. I hope you understand the copyright laws of information and internet. We are just promoting the information by providing suitable acknowledgements. Even then if you have some problem with anything please mail us to admin@earlytollywood.com , we will get back to you on the issue.